Your wedding day is your special day, but with all the excitement it’s over in a flash. Before you know it, you’re hanging up the dress and starting your new life. It’s romantic to say that the memories will last forever, but let’s be honest: we all need a little help. With time, all memories fade, and we turn to the photographs to remind us of the day and all the little moments that made it truly special. The beauty of the bridal portrait experience is that you get a second opportunity to feel like a bride, and to create the photos that will remind you of who you were at this life-changing point in time. Maybe you had to make a few compromises for the wedding, but during your bridal portrait session, it’s all about you. There aren’t very many times in life when we can allow ourselves to feel spoiled and taken care of, but the bridal portrait session is one of those times. Take a deep breath. There are no guests that might be getting restless, no in-laws whose boutonnieres need to be adjusted, no details about the reception to double-check. Today, it’s just you and the camera. Your only focus is to feel happy and beautiful. We’ve got two hours to get the perfect shots. By the time the photo shoot begins, we already know each other pretty well thanks to our ongoing planning, so you can relax, be yourself, and have fun. Smile, laugh, jump, look away, suggest a sudden inspiration–you can open up about what you want and how you’re feeling, and every shot will feel like a keeper. There’s no need to sit in front of the mirror for hours and struggle to get your hair just right. Treat this as if it’s your wedding day. Relax, and let a professional handle your hair and makeup. If you’d like, you’re welcome to bring your own stylist and make-up artist, or take advantage of my top-notch hair and make-up team. These services are included with your bridal portrait experience to ensure you look and feel your best: shining hair, glowing skin, and a radiant smile. We’re not at the department store photography studio here. You’ve got options beyond a plastered-on smile, glazed-over eyes, and a cloudy gray background. Every element of your shoot is customized according to your preferences. We’ll talk it through until you’re satisfied. Share your inspirations with me, and we’ll work together to design the ideal setting for your portraits. We’ll discuss colors and attitude to find the right outfits and the perfect backdrop, whether that’s in my studio, in your home, or outside. Your portraits are uniquely yours. Every bride is different, so there’s no reason that any two bridal portraits should look alike. Start a Pinterest board, cut pictures from a magazine, or simply tell me what you’re dreaming of. We’ll make it happen. Browse through the online photo gallery and choose the images that best represent you as a bride. Premium sessions also includes a 20×30 signed wall portrait for you to display in your home or to offer as a gift, perhaps for your groom, your parents, or your grandparents. Bridal portraits are one of my favorite things to do, and I want you to be as in love with your photos as you are with your husband. (Well, almost.) 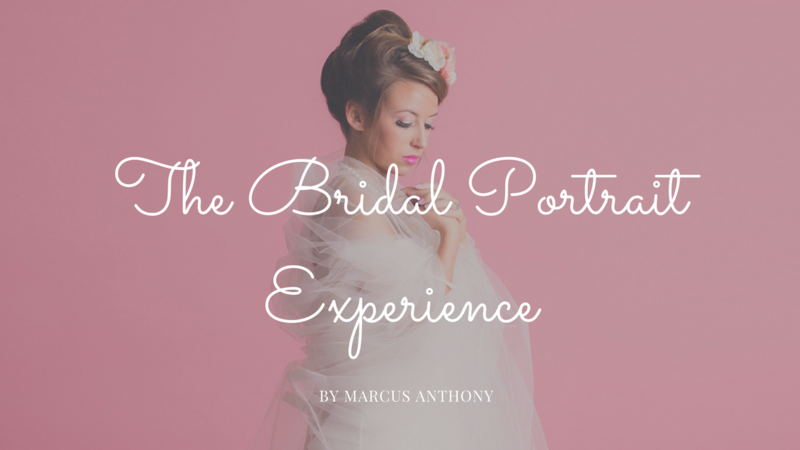 A premier bridal portrait experience is one of the most luxurious and rewarding treats you can give yourself before the wedding, and I look forward to working with you to create your ideal experience. If you’re interested in this exquisite service for yourself or a loved one, please contact me now to book a no-obligation consultation at my beautiful downtown studio (or on the phone).